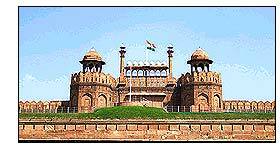 Today, leave for sight-seeing tour, which includes Jama Masjid - the largest mosque of Emperor Shahjahan. Later proceed to Red Fort, Raj Ghat- cremation site of Mahatma Gandhi, to India Gate - a 42 meter stone arch built in the memory of the Indian Soldiers who died in World War II, Drive past the President's House & Parliament House, Humayun's Tomb (a memorial of the Mughals, its design is inspired by the Taj Mahal), the Qutab Minar & Lotus Temple. Leave Delhi by flight IC 601 dep. 08:55 hrs / arrive Lucknow at 09:50 hrs. Drive to Sravasti (170 kms). Transfer to hotel for overnight stay. Breakfast at hotel. Morning visit Sahet Mahet, capital of ancient Kingdom of Kosala, Jetvana Vihar & Buddhist temples. Later leave Sravasti for Lumbini (in Nepal, 225 kms / 6 hrs). Arrive Lumbini, transfer to hotel. Lumbini is the place where Lord Buddha was born. Overnight in Lumbini. Morning visit MahaPariNirvana temple & Ramabhar Stupa (cremation place of Lord Buddha). After breakfast leave Kushinagar for Varanasi (260 kms / 8 hrs). On arrival transfer to hotel. 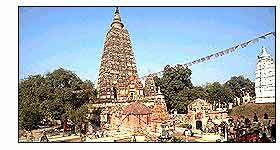 Sarnath, near Varanasi is the place where Lord Buddha preached his first Sermon. Overnight in Varanasi. 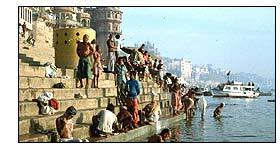 Early morning boat ride on river Ganges to see the Bathing & Cremation Ghats. Breakfast at hotel. Full day city tour of Varanasi visiting Bharat Mata temple, Tulsi Manas, Banaras Hindu University etc. Overnight in Hotel. Full day tour of Bodhgaya visiting Mahabodhi Temple, Animeshlocan Chaiyata, Mohanta's Monastery, Ratnagar, Archaeological Museum, Tibetan Monastery, Thai Temple & Monastery, International Buddhist House & Japanese Temple, Buddhist Monastery of Bhutan, The Burmese Temple, The Chinese Temple & Monastery. Morning leave Bodhgaya for Patna (182 kms - 6 hrs) enroute visiting Rajgir & Nalanda. Rajgir is a site of great sanctity and significance for Buddhists. Afternoon visit Gridhakuta Hill, Bimbisara jail. Drive to Nalanda which is 14 kms drive and it was one of the oldest Universities of the World & International Centre for Buddhist Studies. Drive to Patna which is 90 kms, on arrival at Patna transfer to airport to connect flight 9W 728 dep. 21:30 hrs. / arr. Delhi at 23:00 hrs. Transfer to hotel for overnight stay. Transfer to international airport to connect flight for onward destination.